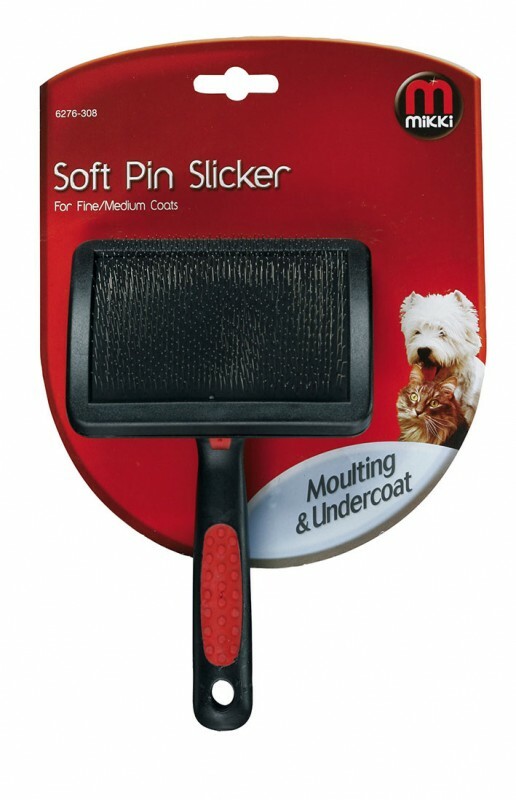 The Mikki Soft Pin Slicker has specially shaped slicker pins which are mounted on an air cushion to enhance grooming action to reduce any excessive brushing force. The pins are designed to be used with a soft stroking action, enabling the shaped stainless steel pins to ease tangles & mats and remove loose/dead hair from the undercoat, leaving the main coat clean & healthy. Regular grooming will help give your pet a shiny, healthy looking coat.